Pedro Barros and Matt Boyster with back-to-back bowl-to-bowl transfers at the Vans Pool Party 2015. 100% Radical. Skateboarding rules! Filming by Dan Levy – Juice Magazine. A decade of monumental skateboarding history goes down in the books as Vans celebrated the 10th Anniversary of the Vans Pool Party at the legendary Vans Combi Bowl in Orange, CA. In an unprecedented exhibition of Combi pool prowess, rookie Tom Schaar seizes first place, taking home his first-ever Pool Party championship at the fresh age of 15. Schaar is joined by two incredible Combi bowl dominators in Vans riders Chris Russell, who gave an explosive performance to win second place, alongside the relentless former two-time champion, Brazilian icon Pedro Barros, placing in third. The Masters division did not disappoint, awarding defending title owner Bruno Passos a back to back championship win, together with Stephen Revord placing in second and Darren Navarette in third. As promised, a fierce Legends battle unraveled as the undisputed icons of bowl-riding history threw down in the gauntlet only to crown the undeniable Chris Miller as the illustrious champion once again, an exceptional feat that marks his ninth Pool Party title to date! Sharing the podium honors, Vans Legend Steve Caballero earns second place while Eric Nash claims third. An extraordinary moment closed out the anniversary celebration as Vans rider Pedro Barros landed an inconceivable maneuver, the never-been-done transfer from square to round in the Combi, igniting the stands to new levels and capping off ten years of the Vans Pool Party in true Combi glory. See the proof for yourself: bit.ly/1ERIEak. 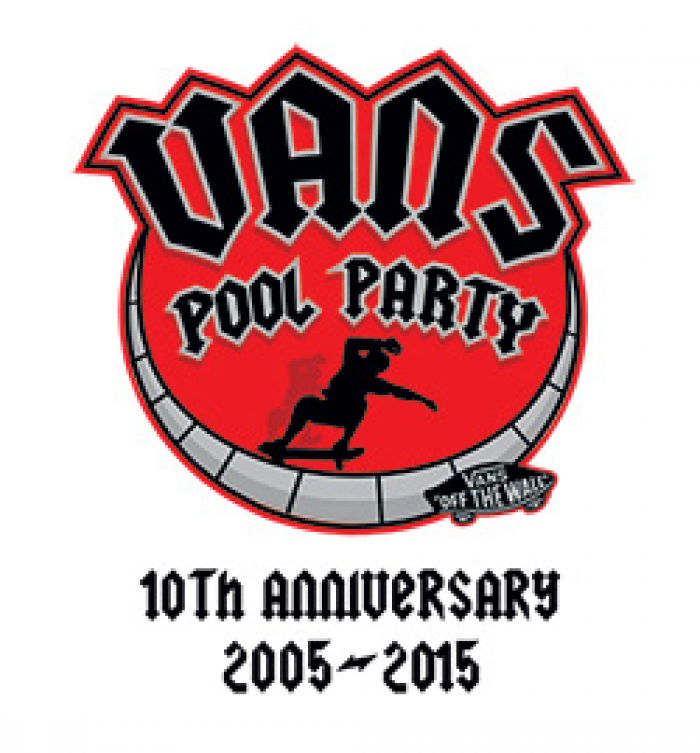 Vans is proud to celebrate the 10th anniversary of the Vans Pool Party, the influential deep bowl competition that forever changed the face of modern vertical skateboarding. With three divisions establishing today’s elite top Pros, Masters and undisputed Legends of bowl riding, the Vans Pool Party is unique in all of skateboarding for bringing together the biggest names in deep bowl skateboarding to battle it out in the legendary Vans Combi bowl at the Vans Skatepark in Orange, CA. Re-live the action of the 10th anniversary of the Vans Pool Party in a full recap complete with video highlights, photos and more this Monday on vans.com/skate​.